Even the kids like to relax during Vacation! 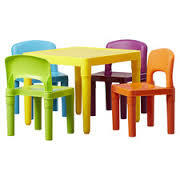 Our table and chairs is great for the kids to use for coloring, eating, or playing house with. The durability of this item makes it easy to use inside or outside. Have a kids table while eating dinner! This set is a great add on to any of our rental items and can be delivered to where you are staying. The set comes with up to 4 chairs. While ordering be sure to include how many you would like to have.